Mrs. Betty Joyce Kirk, 88, of Salem, KY, passed away Sunday, October 28, 2018 at Salem Springlake Health and Rehabilitation Center. Mrs. Kirk was a lifelong Salem resident. She mostly worked in management of the food service industry, and was member of Salem Baptist Church. She is survived by her sons, Dale Kirk of Grand Rivers, and Larry Kirk of Paducah; three grandchildren, Chad Kirk of Louisville, Rachel Gavin of Ledbetter, Drew Kirk of Paducah; and seven great grandchildren. 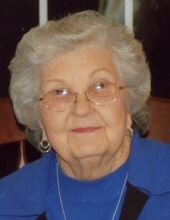 Mrs. Kirk was preceded in death by her husband, Cavitt Kirk; one granddaughter, Amy Kirk; one sister, Bonnie Sue Jones; and her parents, Clifford and Macie Corn Cooper. Funeral services will be Tuesday, October 30, 2018, at 1 PM, in the chapel of Boyd Funeral Directors and Cremation Services. Burial will follow in Salem Cemetery. Friends may call Tuesday morning from 11 AM until the funeral hour in the chapel of Boyd Funeral Directors and Cremation Services.